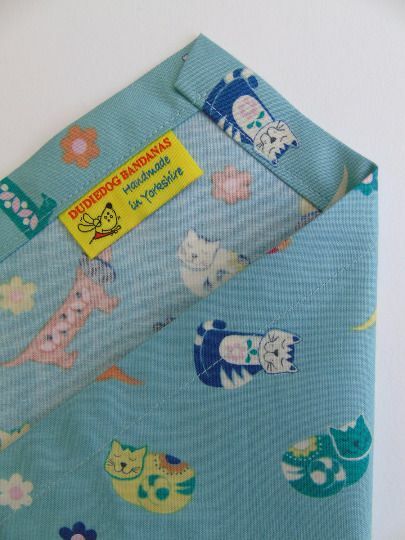 An adorable, super-cute cats and dogs print dog bandana from our Premium range. 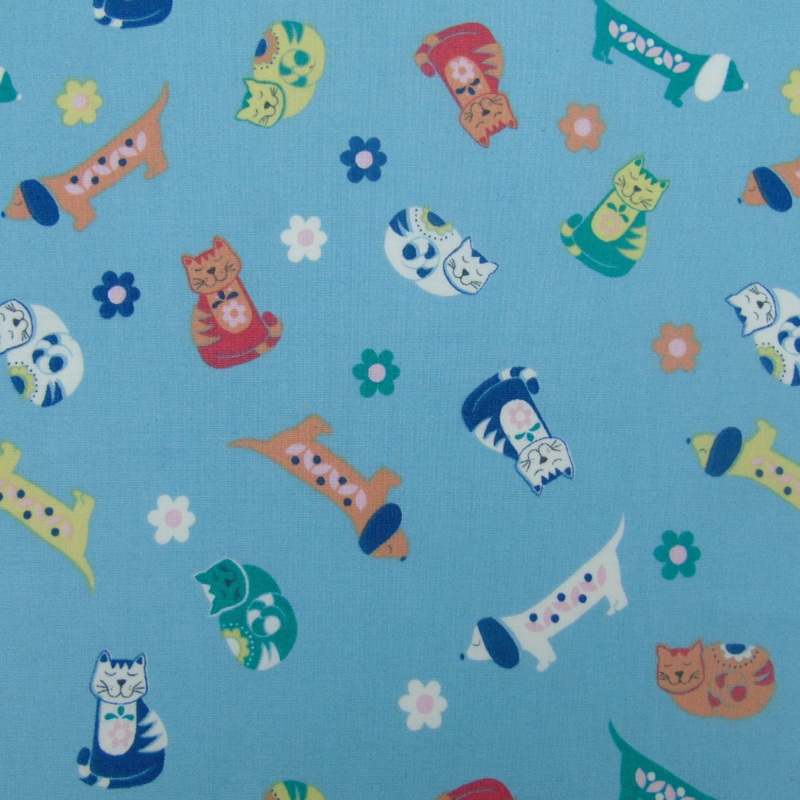 The design has sweet little cats and sausage dogs/dachshunds and flowers on a pretty blue/green background. It's a beautiful design, and will certainly make your dog stand out in the crowd! 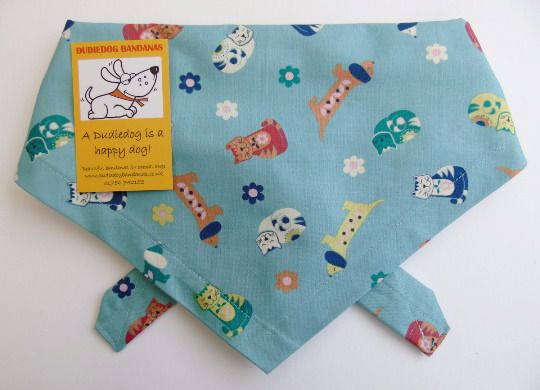 It's perfect for any occasion, for any fun loving dog about town or country! 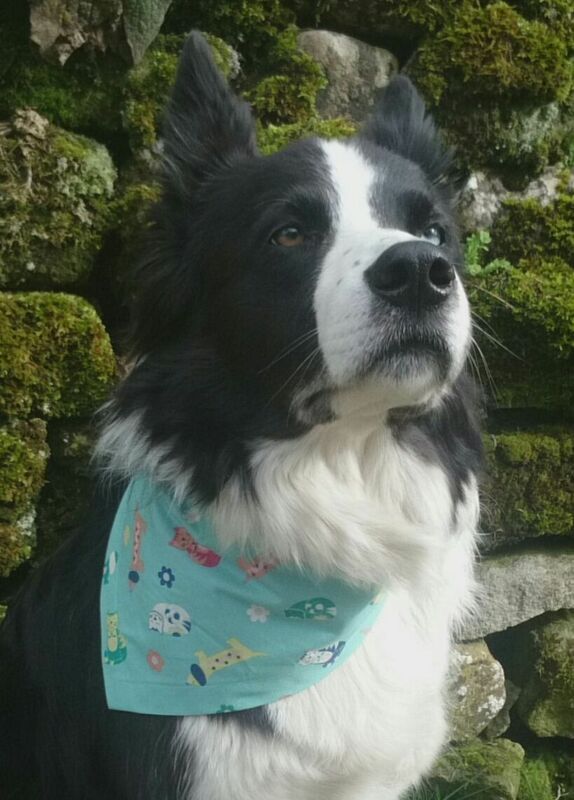 "Lovely bandana, super fast delivery."